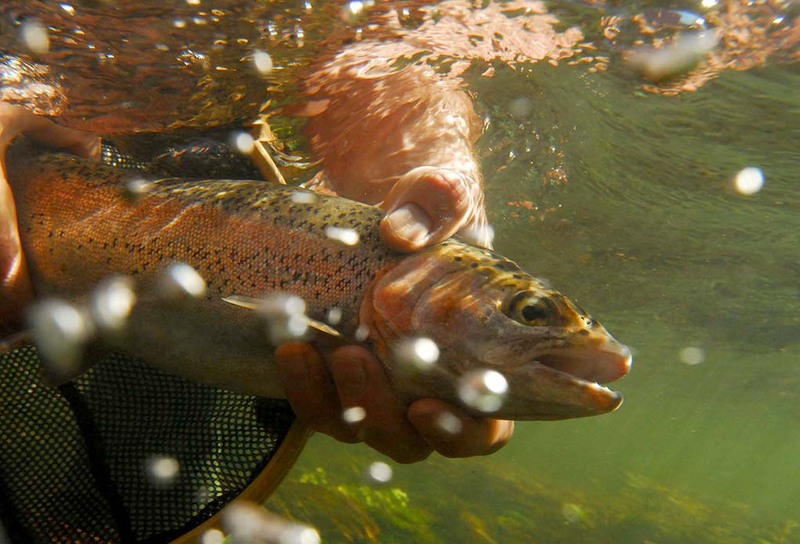 PHOENIX – The Arizona Game and Fish Department plans to stock rainbow trout this spring into the lower 3 mile walk-in section of Lees Ferry, a blue-ribbon trout fishery below Glen Canyon Dam in northern Arizona. The overall rainbow trout fishery at Lees Ferry has been in decline since early 2014. Accordingly, AZGFD creel survey results during recent years have shown a dramatic decrease in angler catch rates. Although rainbow trout fishing during the past year seems to have recovered somewhat in the upper portion of the river with reports of large rainbow trout being captured, trout fishing in the walk-in area has not recovered as quickly as the Department had hoped. The Department will plan to stock trout at this portion of Lees Ferry as necessary throughout 2018.